Copenhagen based producer Niki Istrefi's debut 12" on Euromantic inaugurates the imprint. In true millennial fashion, it describes itself as 'techno for our continental brothers and sisters caught up in the decadent lifestyle of the new millennium.' 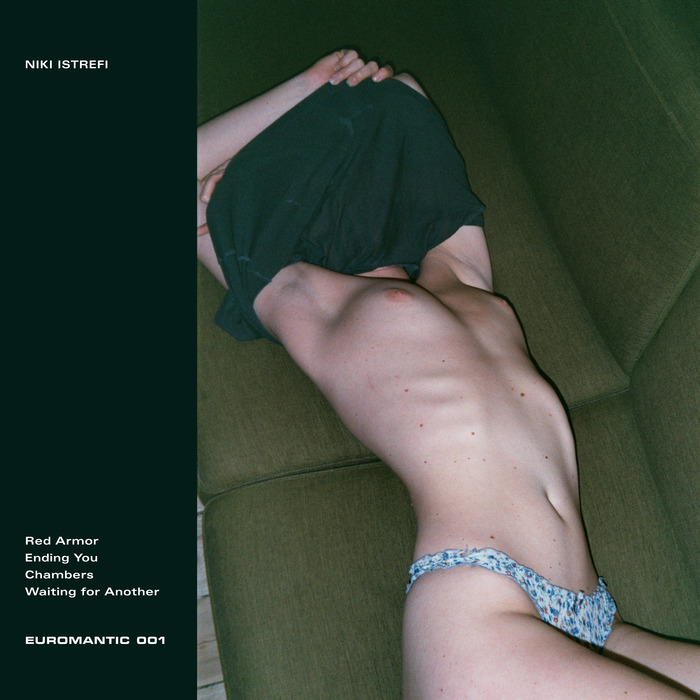 From the get go you could only imagine they have Berlin's dark, sweaty and hedonism fuelled basements in mind - and the blistering 140 BPM onslaught of "Red Armor" no doubt gives you a feel for that. The crunchy and compressed adrenaliser "Ending You" will throw you against the wall, and calls to mind the early noughties hard techno experiments of Frankfurt legend W.J. Henze. It all comes to an epic climax with the destructive closer "Waiting For Another" which takes hypnotic techno to new depths: albeit in a very violent and degraded format.